The American Health Council has selected Nikalesh Reddy, MD, FACS, FICS, to their Board of Physicians. He has been a Clinical Assistant Professor of Surgery at the University of Vermont for the past 5 years. He is a consultant surgeon at Alice Hyde Medical Center which is part of The University of Vermont Health Network which offers the knowledge and resources needed to give their patients access to leading-edge technology, advanced treatment options, and the highest level of compassionate care. As a Board Certified General Surgeon, Dr. Reddy has built up an expertise in Minimally Invasive Surgery and has been applying his skills to the medical community for the past 15 years. Dr. Reddy began his education at the Madras Medical College in India, where he pursued his Medical Degree in General Medicine. He received his MD degree in 1998 but then continued his education at Kilpauk Medical College, and it was there that he earned his Master’s Degree in Surgery. Following his graduation, Dr Reddy worked with Dr Jean Emond at Columbia College of Physicians and Surgeons in liver transplant division. Dr. Reddy then finished his Surgical Residency training from St. Luke’s Roosevelt Hospital in New York City. During his residency, St. Luke’s offered Dr. Reddy a Research Fellowship in Thoracic and Robotic Surgery. The inspiration to pursue a career in medicine stemmed from Dr. Reddy’s father, who was also a surgeon. From his own personal experience, Dr. Reddy saw firsthand how his father influenced and changed so many lives for the better and he decided he would like to do the same. His family became a large part of why his career became so successful, keeping his parent’s support and encouragement in mind. He also attributes a large part of his success to his own sense of determination and the commitment he has to his patients. Day to day responsibilities for Nikalesh Reddy, MD include performing Minimally Invasive Surgery, General Surgery, and educating others about his surgical procedures. 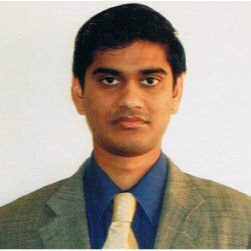 Many accomplishments have been made by Dr. Reddy throughout his career, these include being promoted to United States Army Major and saving the lives of his patients using his minimally invasive surgical techniques. Dr. Reddy has performed extensive research on RAGE protein, liver resections and colorectal cancer and has many peer-reviewed publications in high impact journals. Nikalesh Reddy, MD was also the recipient of the Top Doctor of the Year award in 2014. Dr. Reddy is an affiliate of several organizations such as the American Medical Association and the American Board of Surgeons. He is currently a Fellow of the American Board of Surgeons. Recently, he was named as the Chair of Surgery at Alice Hyde Medical Center and President of the Franklin County Medical Society of New York. To give back to his community, Dr. Nikalesh Reddy supports Physicians for Peace, an organization devoted to the education of local providers of surgical care about how to transform lives in under-resourced communities. Within the next five years, Dr. Reddy looks forward to serving in the United States Army as a Major and combat surgeon saving lives at the frontlines. In his spare time, Dr. Reddy participates in workshops offered in his community. Part of a six-hospital network serving patients and their families in Northern New York and Vermont. Expertise in Minimally Invasive Surgery. Board Certified in General Surgery by the American Board of Surgeons.